Holley carb, fuel rail thread pitch, fittings? Im trying to figure out what fitting fits the Old Holley DP crome fuel rail? What tis the thread pitch, size and style of fitting that will go right into the Holley float bowls? I would like to go to AN fittings and just cant figure it out? I want to connet a Holley Fuel pressure reg to this Holley DP fuel rail. 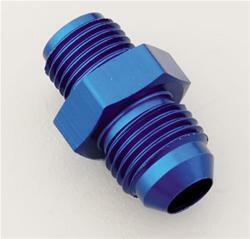 it needs to be a double male fitting with 3/8 NPT on pressure side. I'm thinking it looks like a 5/16 or more likely 3/8 inverted flare, so one of these in the correct size..
That link is broken for me. Should I be looking at a 3/8 inverted flare to 3/8 NPT? You may need the 3/8 tube version..
Im trying to figure out what fitting fits the Old Holley DP crome fuel rail? That would depend on who made it. Some are tapped for pipe threads, most likely female 3/8-NPT, but it could be 1/4-NPT. It's easy enough to tell the difference. 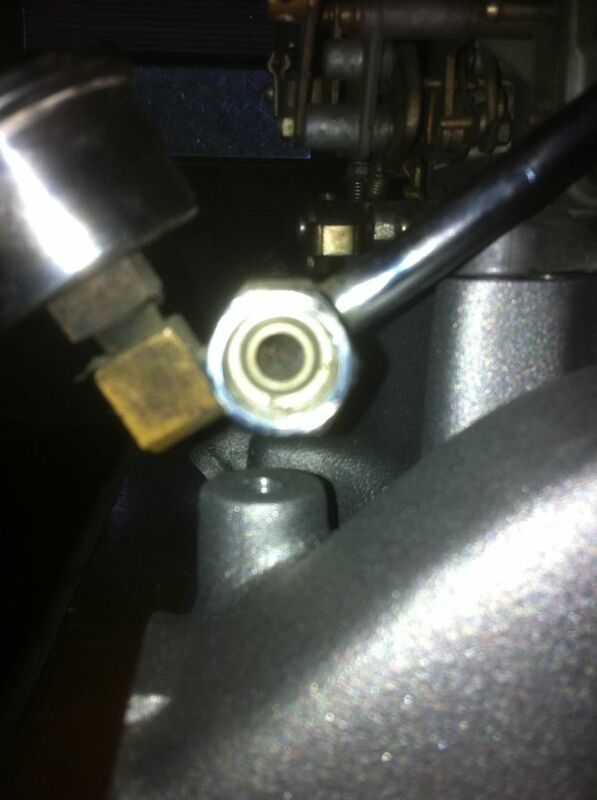 Some had a fitting for a metal fuel line, and again this depends on who made it. Female 3/8" inverted flare with 5/8-18 threads or 5/16" inverted flare with 1/2-20 threads. That's easy enough to tell just by looking at it. What tis the thread pitch, size and style of fitting that will go right into the Holley float bowls? Right into the bowls is a 7/8-20 thread with a thin metal gasket for sealing. The caps that hold the bronze fuel filters in are for a 3/8 inverted flare and have a 5/8-18 thread. I would like to go to AN fittings and just cant figure it out? Just go to Summit or Jegs web site and tell it you want an adapter fitting to go from whatever AN size you are using (Probably -6AN) to whatever pipe or inverted flare you want. These will be male on both ends. They come straight, 45 degree, or 90 degree. The broken link may be just me accessing the site and net on this lame tablet..
Thanls for clearing that up, gotta make a summit order and those will help get me to free shipping.